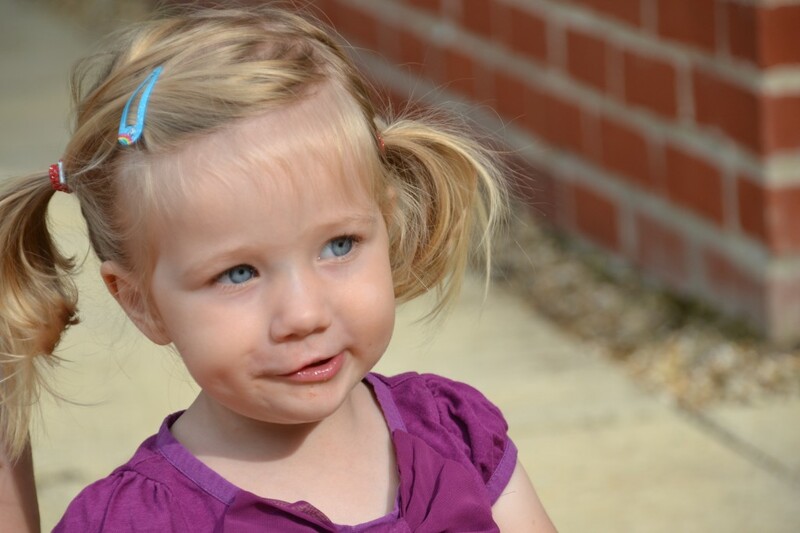 One of the things H loves to do the most is wander around the garden looking at bugs and occasionally picking them up to show me or put in her sisters hair…I love that she is so unfazed by them. She is especially fond of ladybirds so they formed the main theme for her ladybird birthday party last week. We had slimy spaghetti filled with bugs for messy play. The bugs were great as they were quite stretchy so seemed quite realistic! Cloud dough to make pretend bug cakes. Some bug finger puppets to colour. 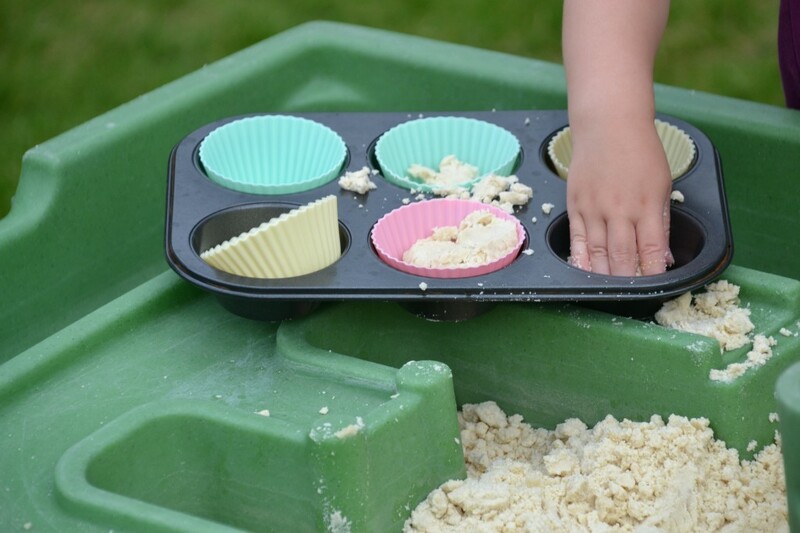 Many thanks to Anna at The Imagination tree for the slimy pasta idea and cloud dough recipe. 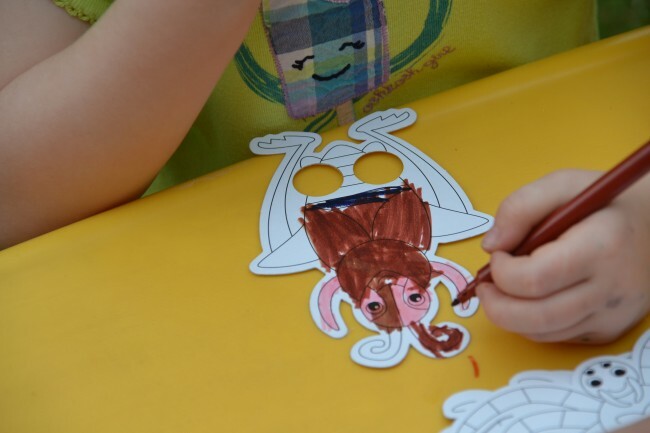 Have you ever held a bug or ladybird birthday party? What a cute set of ideas. 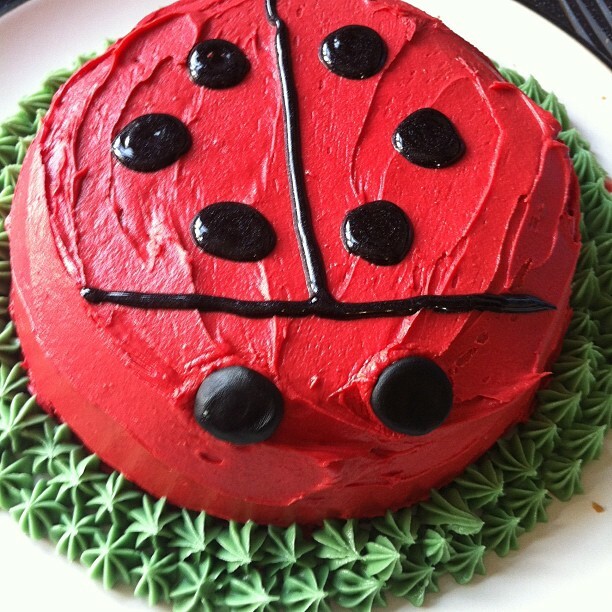 And, I absolutely love all your ladybug desserts! I’ve always loved lady bug things. Your party turned out just adorable everythings sooo cute. 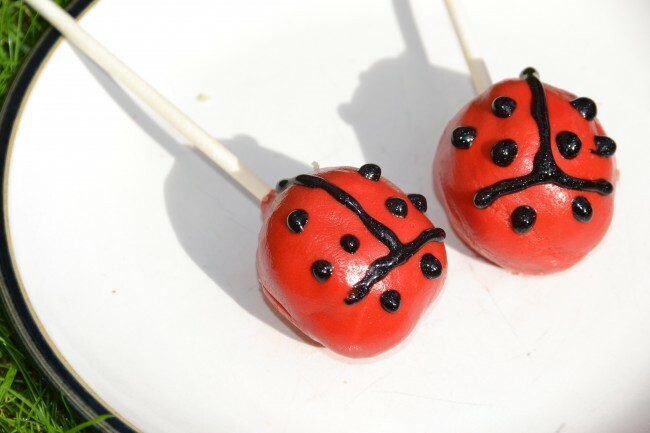 Oh my goodness you managed lady bird cake pops! BRILLIANT. I bow down to you!!!! Molly loves ladybirds too. They ate so pretty. Love your party ideas, they turned out brilliantly. 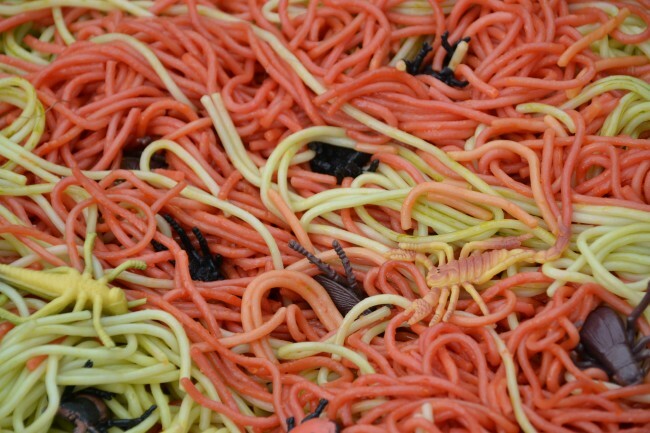 It reminds me we still haven’t done spaghetti play. It looks so much fun! Oh these are lovely. Didn’t you do a wonderful job for the ladybird party!!! Go you. Looks like the children were too having fun. 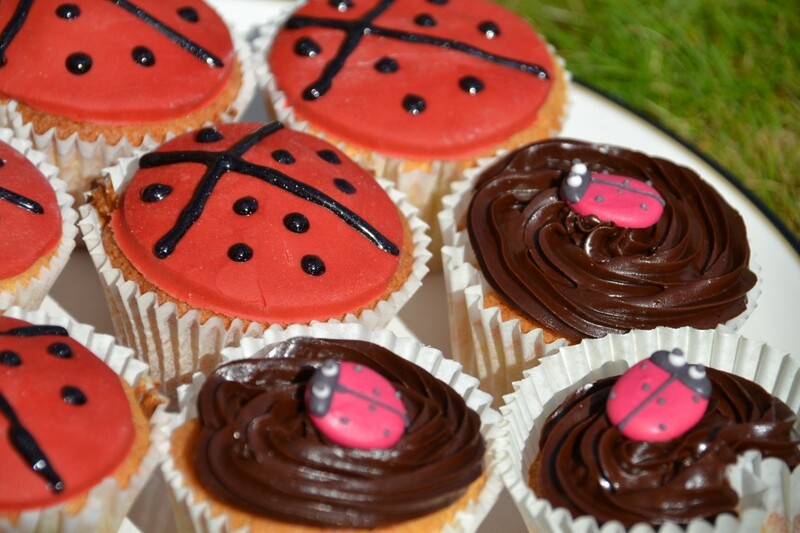 I would love to try these ladybird cakes.